Miss Hughes gave Tennielle this special Values Certificate for showing the values Respect and Team on Athletics Day. Miss B and Room 4 are so proud of you! well done Tennielle You must be really good at your values!!!!!!!!!!!!!!!!!!!!!!!!!!!!!!!!!!!! Miss B has copies of all photos from the blog. You can email her (erinb@summerland.school.nz) telling her which photos you would like a copy of and she will send you the full sized version. 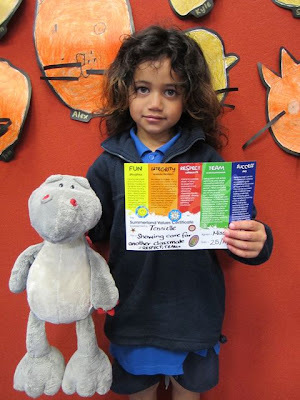 We are a Year 0/1 class at Summerland Primary in Auckland, New Zealand. We enjoy learning and having fun. 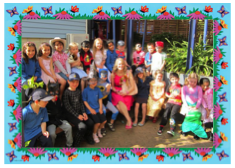 This blog is where you can see some of our learning throughout the year. Keep checking in regularly and please leave comments about what we have been up to.